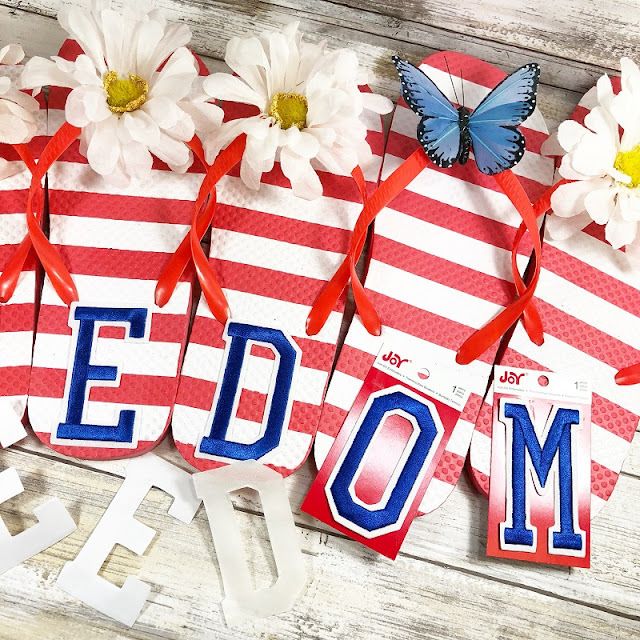 Well, almost, but this Flip Flop Freedom sign can be made in under 30 minutes, with Joy® embroidered iron-on Letters. So, even if you've waited until the last minute, greeting your guests for the Fourth of July is handled! 1. Cut wooden yardstick down to 24" with a saw and miter box. 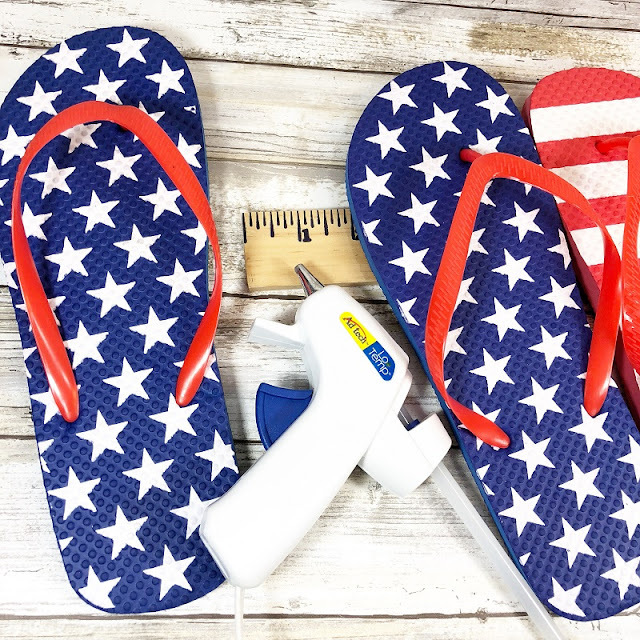 Place 2 blue "stars" flip flops and 5 red "stripes" flip flops across the yardstick, then hot glue each flip flop in place. 2. 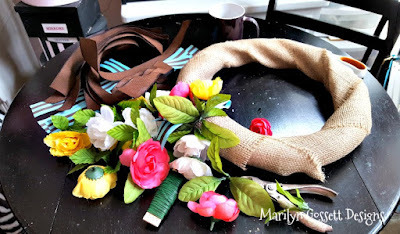 Cut (or pull) 6 flower heads from the stems and hot glue one to the thong on 6 of the flip -flops. 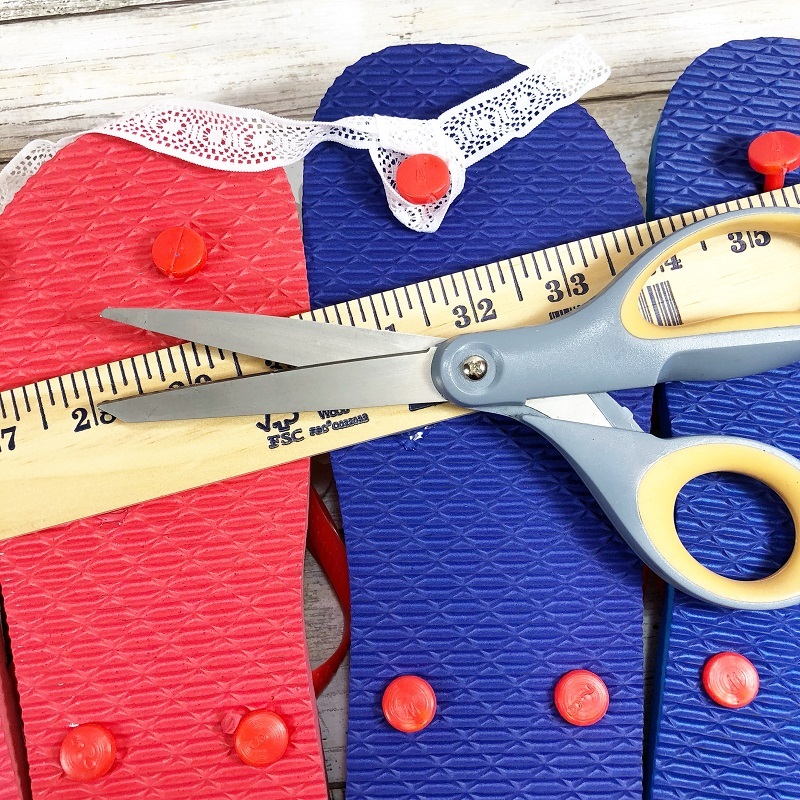 Hot glue the butterfly to the 7th flip-flop thong. 3. 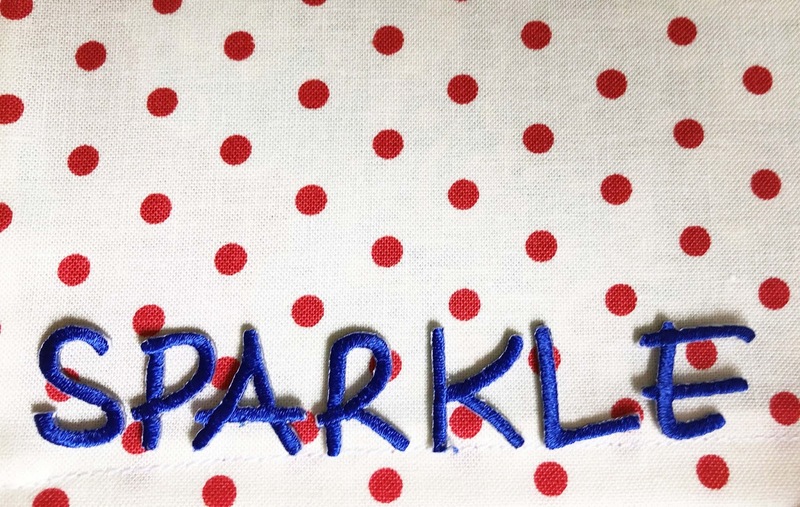 Peel the liner paper from the back of each embroidered letter. 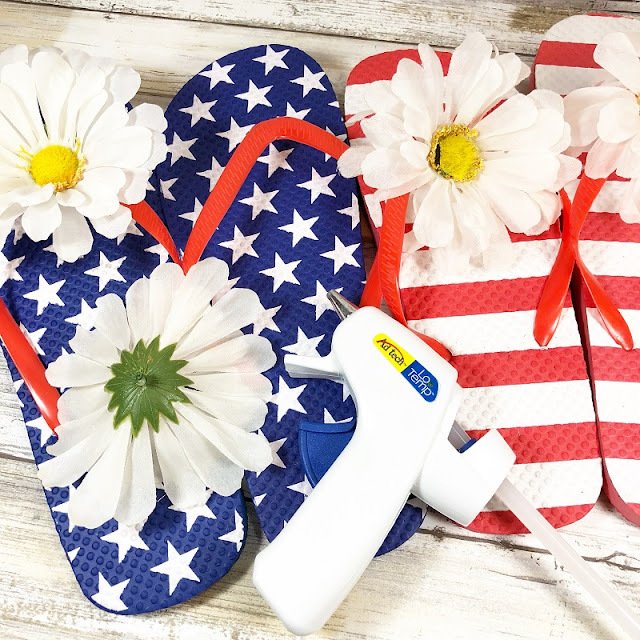 Attach a red F and R to the blue flip flops and blue E E D O M to the red flip flops. 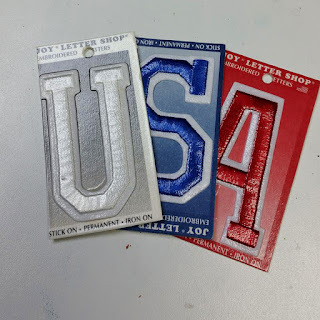 The varsity style letters are self-adhesive, so you can simply peel and stick! No need to iron onto this surface. 4. Turn sign over on the work surface and then attach the lace hanger to the second and sixth flip flop button with a simple knot as shown below. 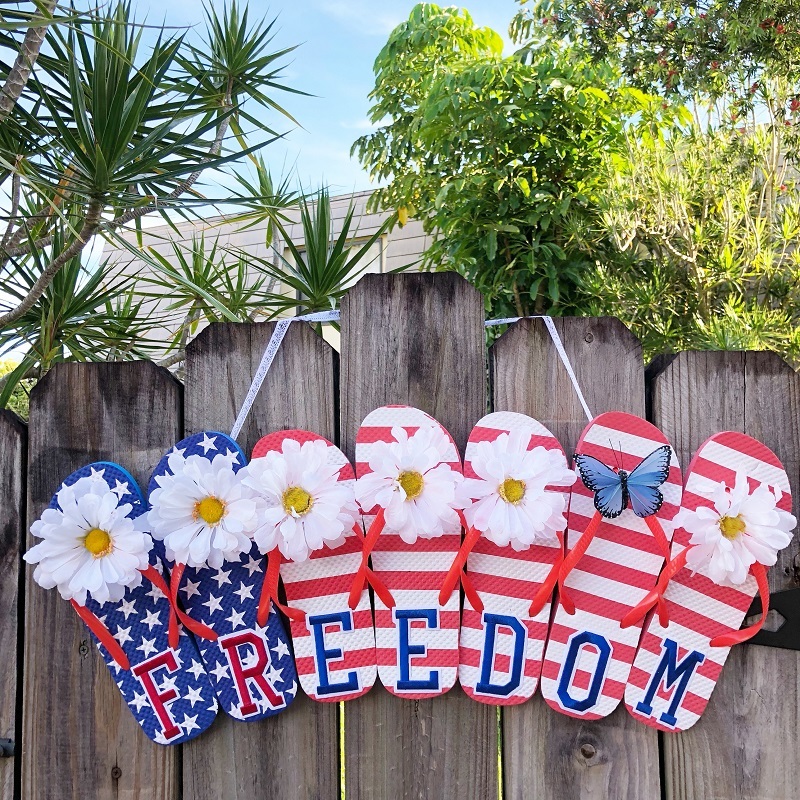 Hang on your door, porch, patio, gate,or garden fence and ENJOY! I love how this looks like a flag with the stars and stripes! 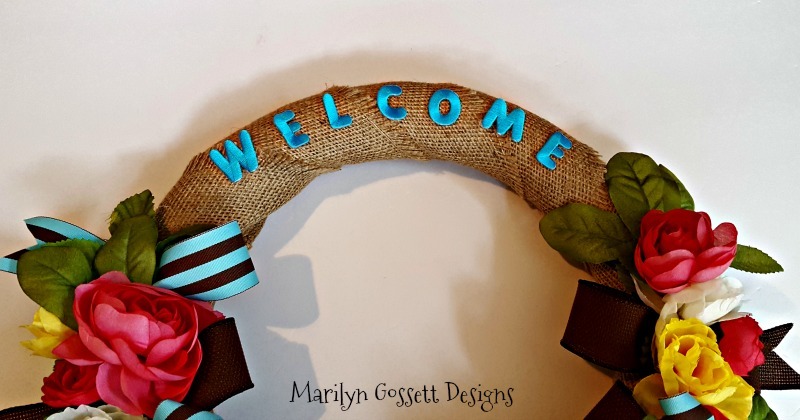 This project is so easy, the kiddos can help you too! 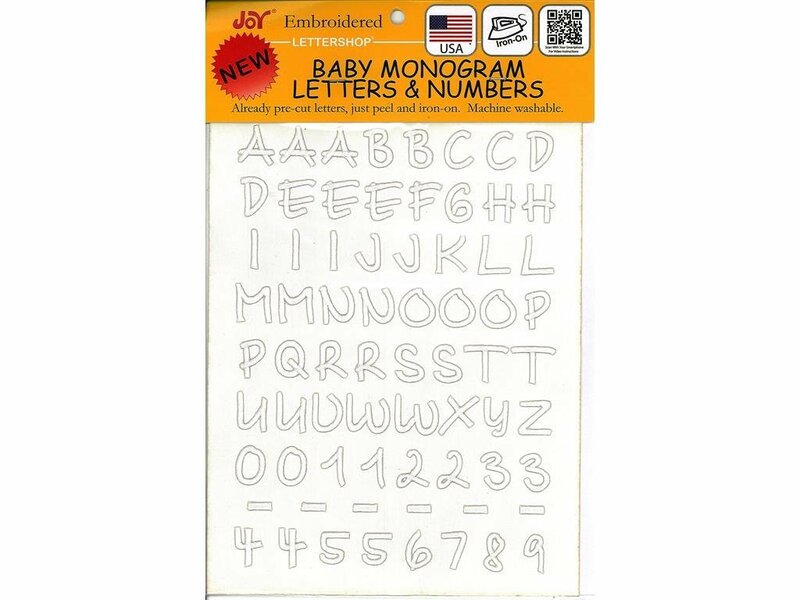 Joy® iron-on, embroidered letters and numbers are available in a variety of sizes, colors, and fonts at your local craft stores. Take your July 4th BBQ up a notch with these cute napkins! Cloth Napkins. Make your own by hemming a 12" x 12" piece of fabric or use cloth napkins. 1. Iron the napkin to smooth out any creases and/or wrinkles. 2. 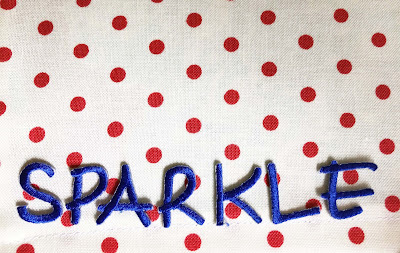 Remove the letters from the sheet then arrange along one edge of the napkin to spell out the word SPARKLE. 3. Following the manufacturer's instructions on the back of the package, iron over the letters using a pressing cloth and a hot, dry, iron. Turn the napkin over then press again over the back of the letters. Allow napkin to cool completely. 4. 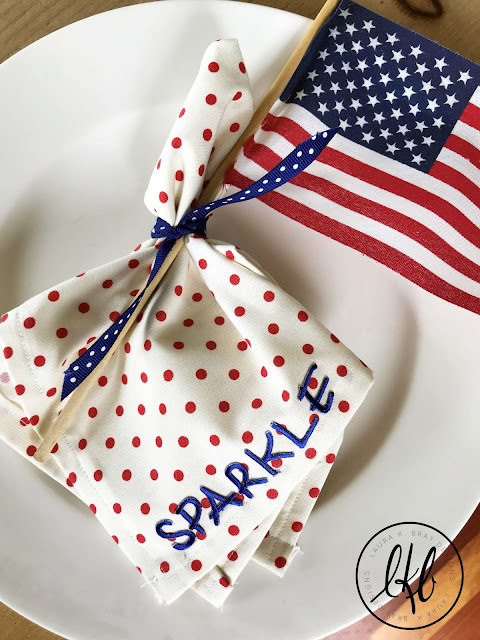 Tie a ribbon around the napkin n lieu of a napkin ring, then slip a small flag through the ribbon. Lay one napkin at each place setting. Sparkle on! 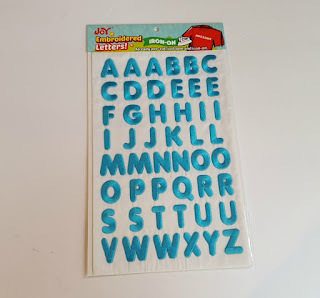 You can find a wide selection of Joy® Letters at your local craft store. 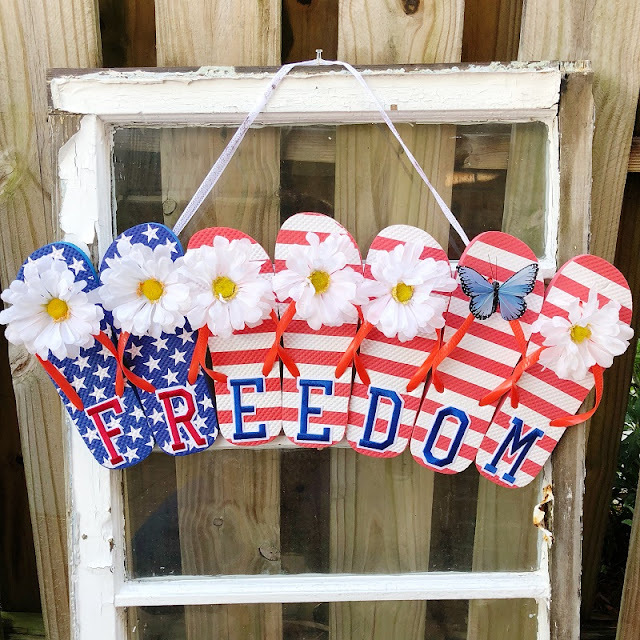 Show off your love of the 4th of July holiday with a patriotic banner to decorate your front door! These large, iron-on letters are perfect for this project - and they come in the best colors! 1. Cut two stars from each color of felt. Sew two together, stitching around the edges with a contrasting color of thread using blanket stitch. Make 3 stars. 2. 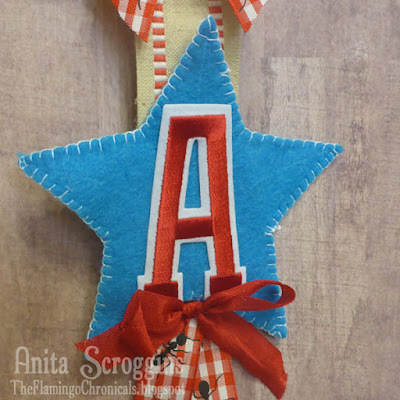 Following the directions on the package, iron a letter on to the front of each star then add a bow and decorative ribbon tails at the bottom of each star as shown. 3. 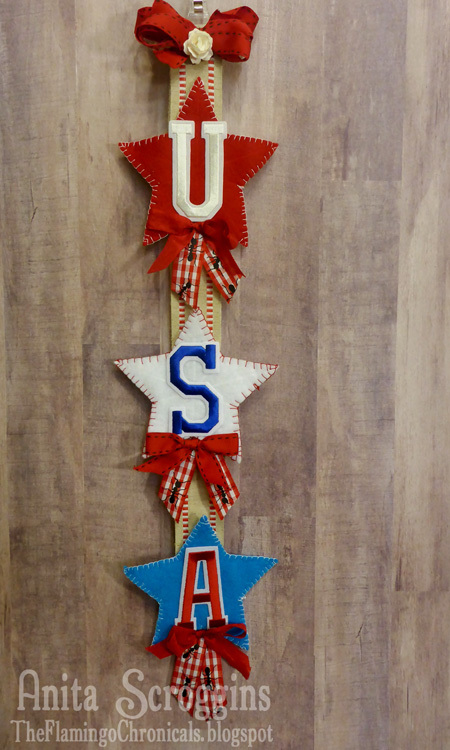 Cut a length of burlap or other coordinating ribbon long enough to place the stars, evenly spaced on the front then glue in place. 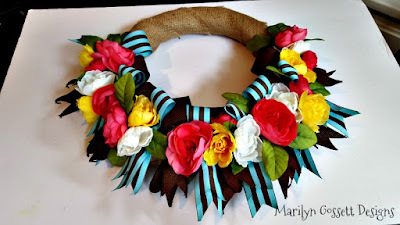 Add a bow and small paper flower at the top. 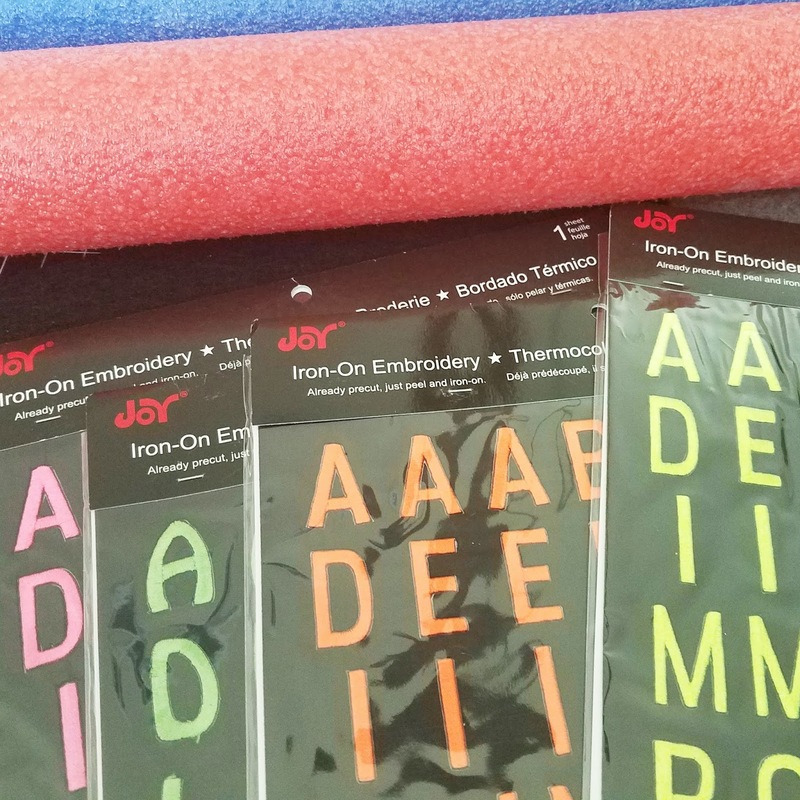 Joy® iron-on, embroidered letters are available individually and in sheets, in a variety of fonts, sizes and colors at your local craft stores. Make this quick and easy burlap pillow to add to your summer celebrations! 1. Arrange the letters and stars on one of the burlap square. 2. Remove the backing paper from each letter and star then press in place. If you feel the pillow will be used a lot, cover with a pressing cloth and iron in place. 3. Pin the squares together with the front facing out then sew 3 sides together, about 1" from the edge using a simple running stitch and embroidery thread. Insert the pillow form then sew this side together. 4. Fringe the edges of the pillow edges by pulling away the threads from the edge up to the line of running stitches. 5. Make more - they're so easy! This is a great group project for kids or seniors. 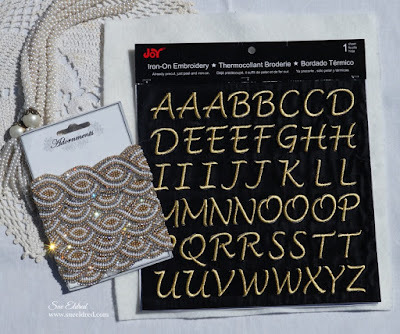 Look for Joy® iron-on embroidered letters and letter sheets at your favorite craft stores. 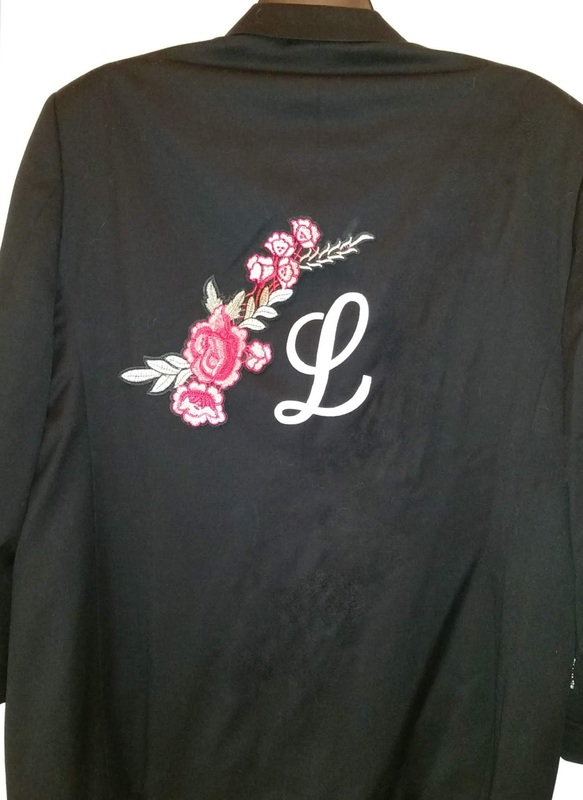 Make over a thrift store jacket with a cool monogram! Want to jazz up your wardrobe for just a few dollars? With Joy Iron-On Embroidered Letters and a thrift store jacket, you will be looking stylish in no time! 1. Cut a piece of beaded trim to fit the length of each pocket opening. 2. 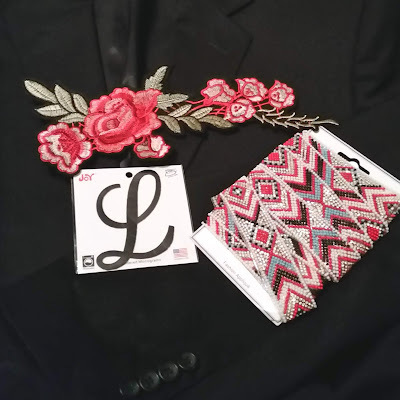 Attach beaded trim to all pocket openings (breast pocket and 2 lower pockets) with fabric glue. I used Fabri-Tac from Beacon Adhesives. 3. 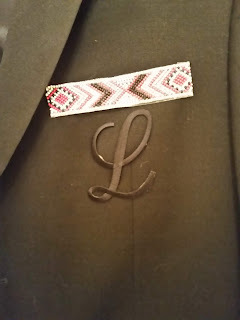 Following directions on the package, iron the 1 1/2" letter to the breast pocket, directly under the beaded trim. The monograms are available in black or white. The white embroidered letters can also be colored with fabric markers to match the trim if desired, as shown below. 4. Iron the rose appliqué and the 3" letter onto the back of the jacket. And that's it - a fun, "new" jacket with no sewing involved! Summer is here! 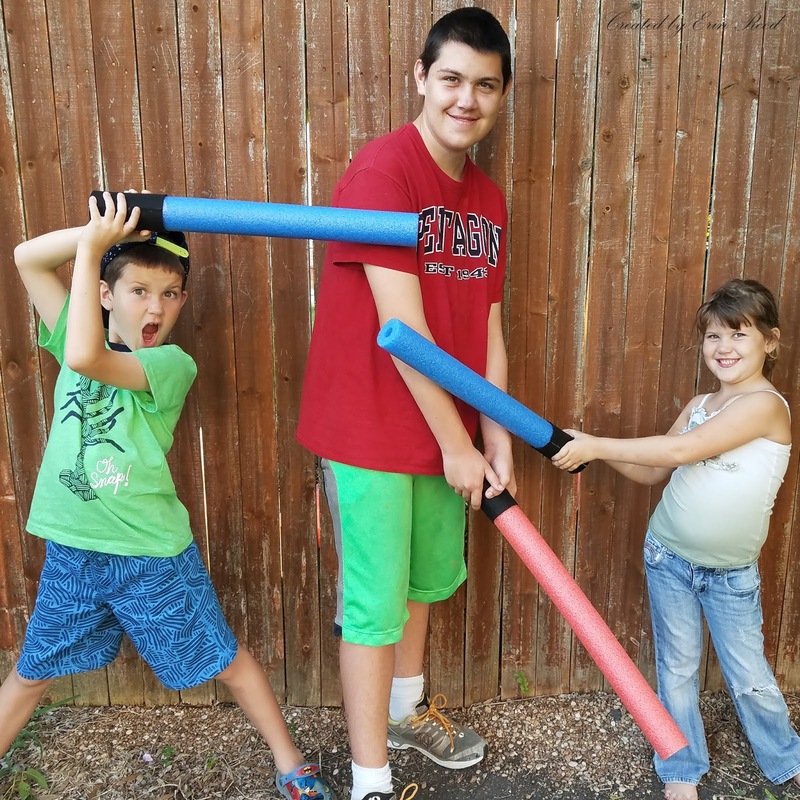 Who's ready for some summer fun with pool noodle lightsabers? 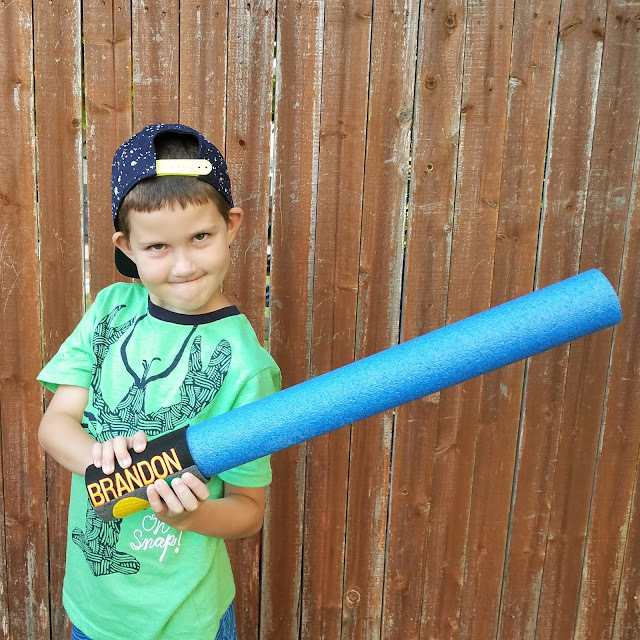 Pool noodles, felt, and Joy® iron-on letters = super fun backyard giggles! 1. Use a knife to cut the pool noodles in half. Each half makes 1 lightsaber. 2. 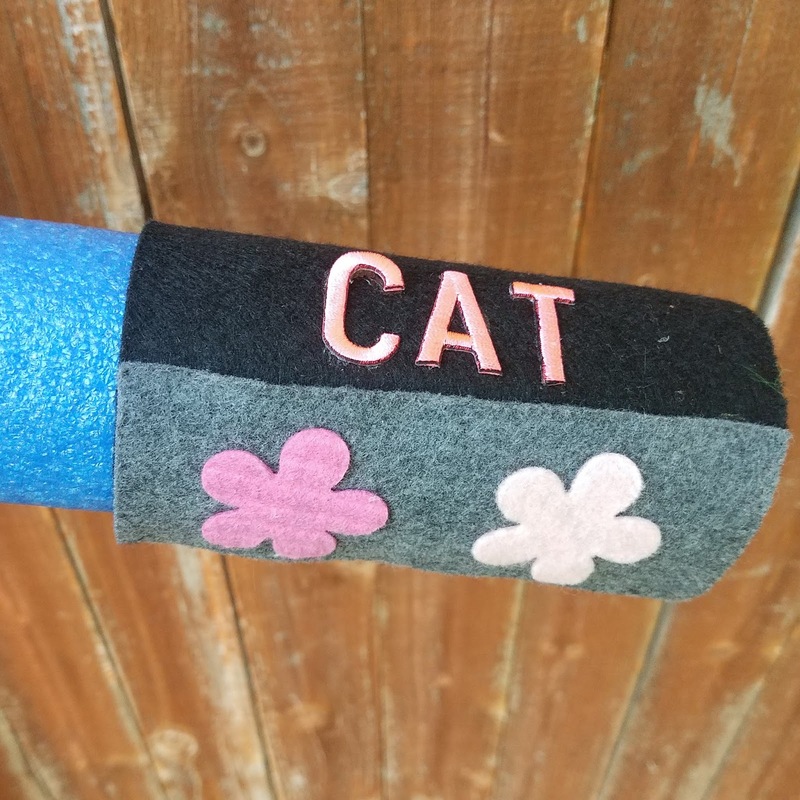 Cut a rectangular piece of felt large enough to fit around the end of the pool noodle for the hilt. 3. Add more felt decorations such as circles, stars, flowers for the on and off buttons in the colors kids picks out. 4. 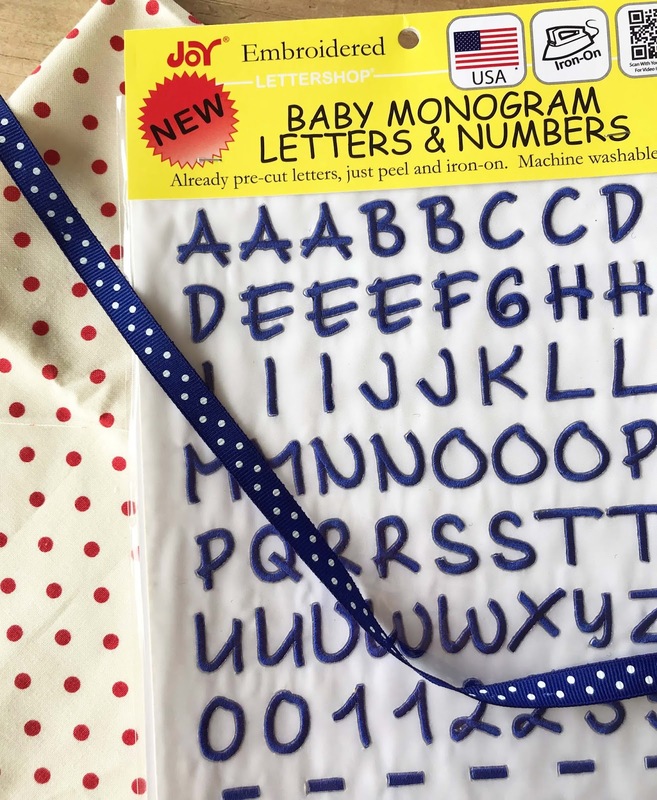 Select letters in the color of their choice for each child's name, then iron on to the felt following the directions on the back of each package. Enjoy this short video on how to make these fun personalized lightsabers!! 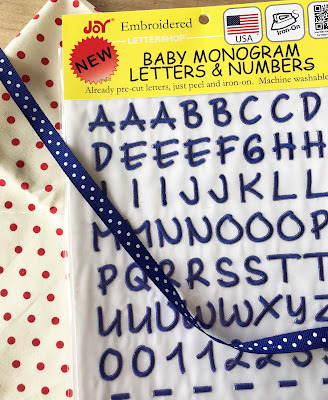 Look for Joy® iron-on embroidered letters and numbers at your favorite craft store. They're available in different sizes, colors, and fonts, suitable for every occasion. 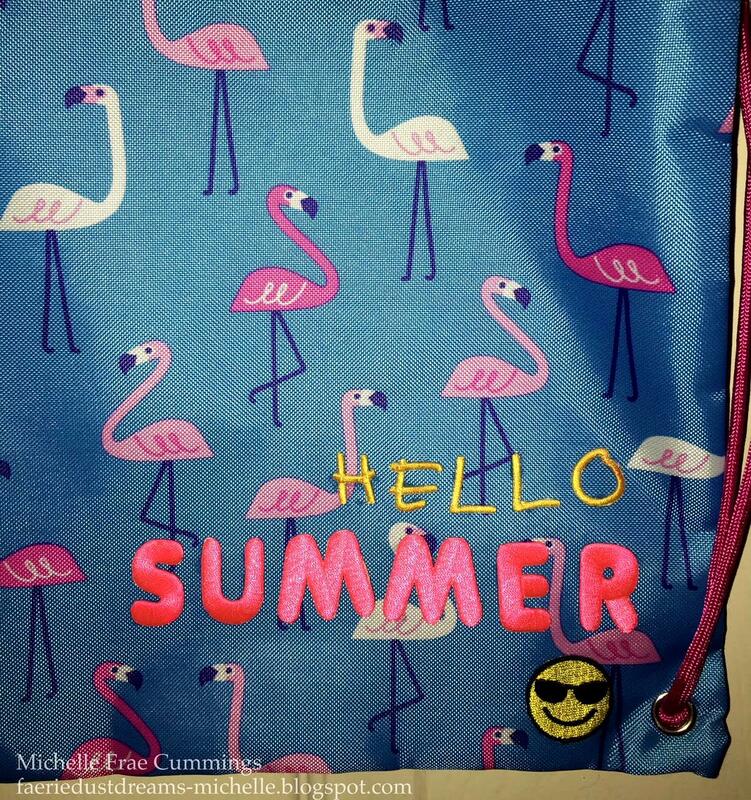 Now that summer is here, you can find the cutest pre-made draw strings totes just about any where! 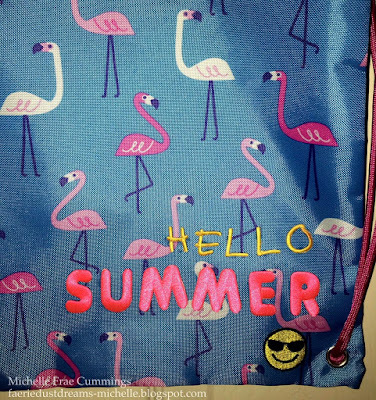 The flamingo pattern on this tote just screams "Hello Summer! ", don't you agree? 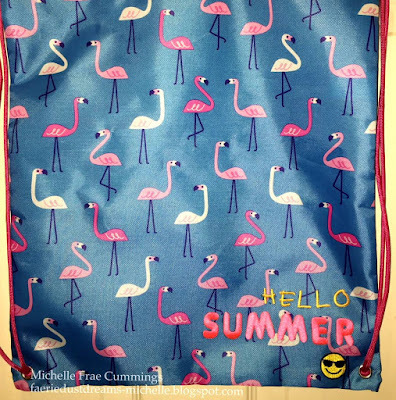 Arrange letters and Emoji on the tote, then iron on using a pressing cloth following the manufacturers instructions on the back of each package. Perfect for a day at the park, beach or even the county fair! Graduation season is here and this year my Nephew graduates from High School! The one thing he wanted at his party? CUPCAKES! Joy® Embroidered Adhesive Letters allows any project to be easily personalized. 1. 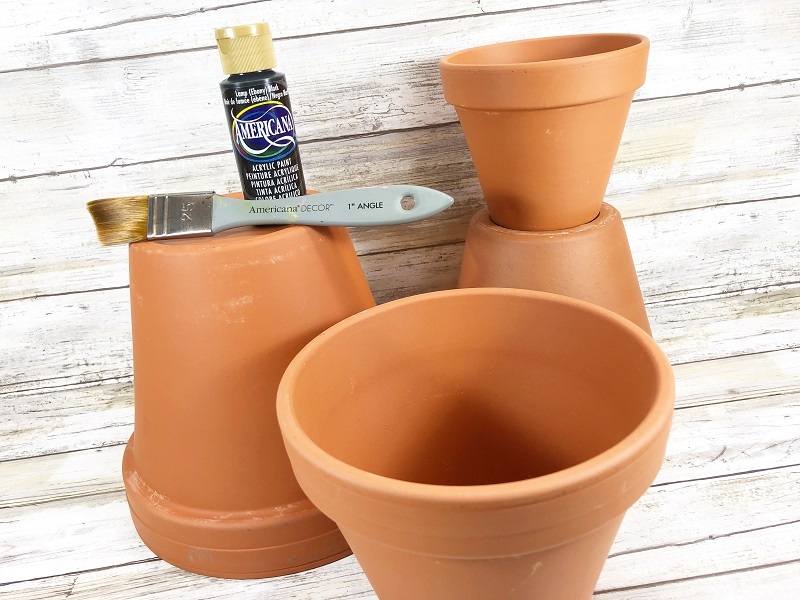 Base coat the terra cotta pots and wooden squares with black acrylic craft paint. Let dry. Apply a second coat, if necessary. 2. Measure and cut one (1) 24" length and one (1) 12" length of floss from each skein. Thread the 24" length through the folded end of the skein. Tie the 12" length around the skein in a knot. Wrap the ends around several times and then knot again. 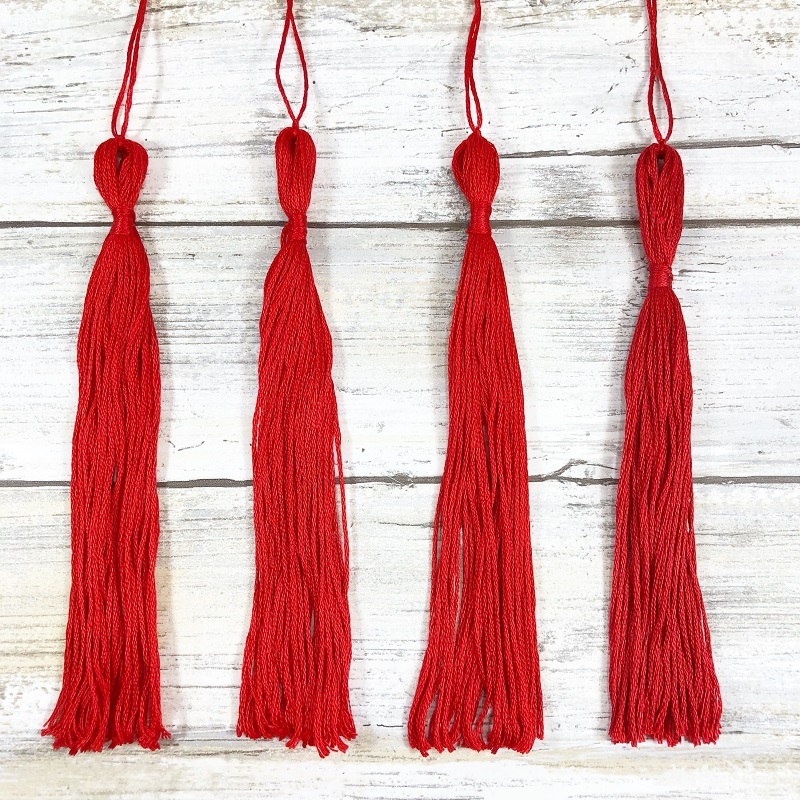 Trim ends with scissors and tuck the knot into the center of the tassel. 3. Apply the embroidered letters by peeling off the backing paper and applying directly to the base of the painted terra cotta pot. I placed BHS on one side and 2018 on the other. 4. 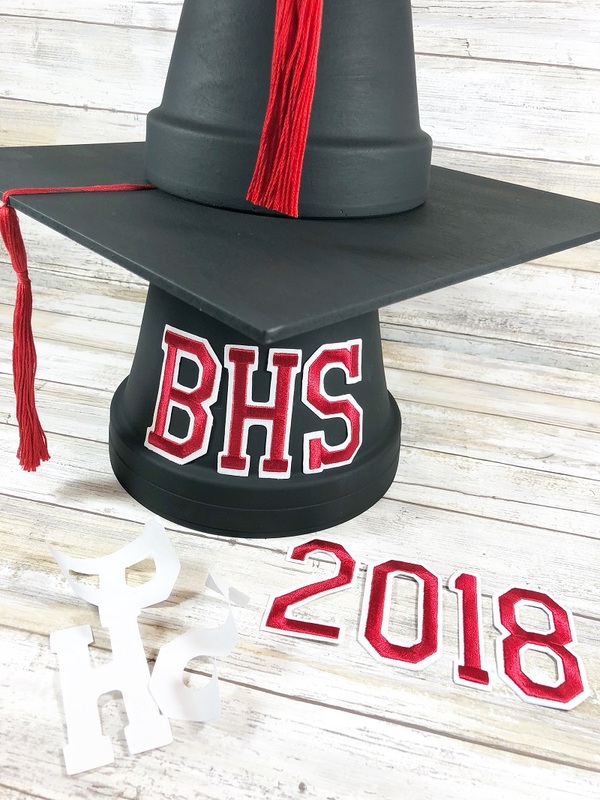 Attach a tassel to the center of each painted wooden square with a Tombow Xtreme Tab and a black button on top. These tabs are clear so they won't show on your finished project. 5. 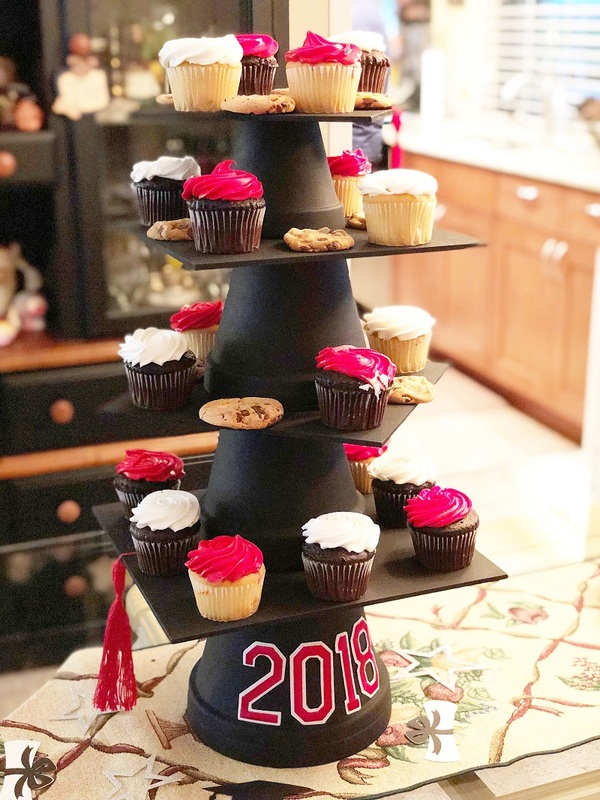 To assemble the cupcake stand stack the terra cotta pots and wooden squares on top of each other using Tombow Xtreme Tabs to secure the layers from largest to smallest. Trim the tassels, if necessary. 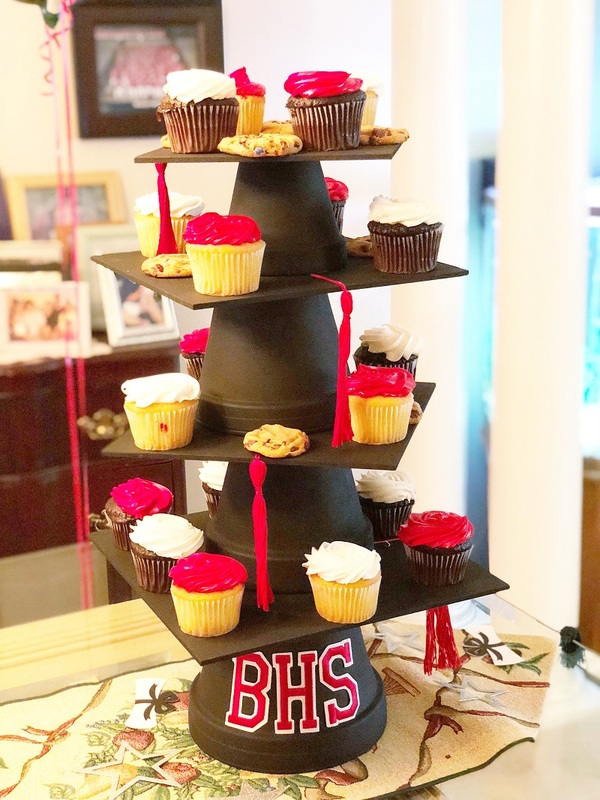 Fill the stand with cupcakes (and cookies) to celebrate your graduate's accomplishments! 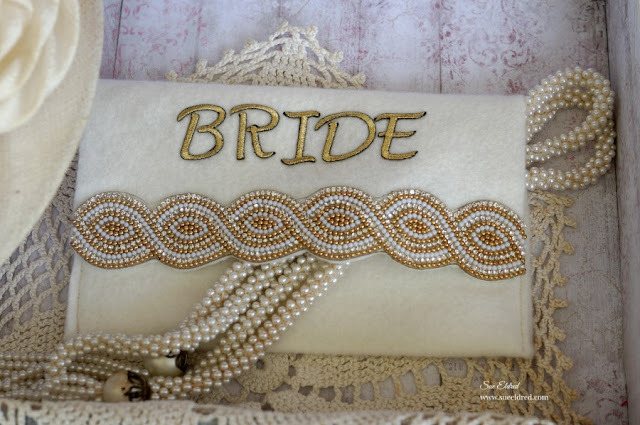 Personalize a special pouch for the Bride-to-be with Joy® Iron On Embroidered letters. It's the perfect place to keep wedding day jewelry safe while in transport. 1. Fold up one end of the felt approx. 4" then sew the edges together at each side to create the pouch. 2. Iron the beaded trim onto the edge of the felt at the opposite end (on the other side), using a pressing cloth. 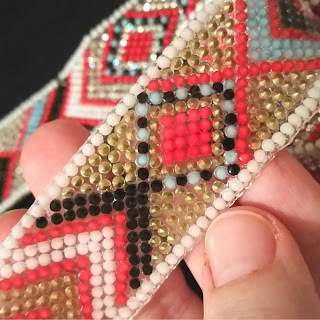 The beaded trim will be at the edge of the flap. Place the pressing cloth on top of the trim and iron over it for 25 sec to secure. 3. 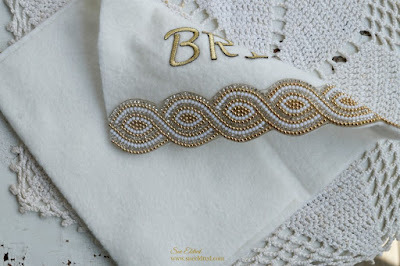 Trim away the excess felt from around the top of the beaded trim to create a scalloped edge. 4. 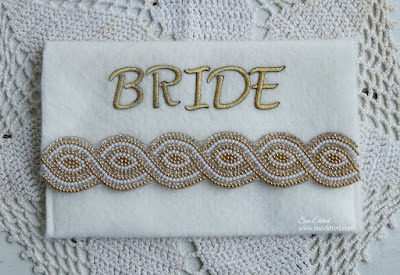 Remove the letters to spell "BRIDE" from the letter sheet, position on the front of the pouch, then iron in place using the pressing cloth. Using firm pressure and a hot iron, press for 25 seconds, then press again on the other side. 5. Add hook & loop tabs to the pouch and flap for a closure. *Note: Depending on the type of felt, you may need to use fabric glue to adhere the trim and letters so they remain firmly in place. 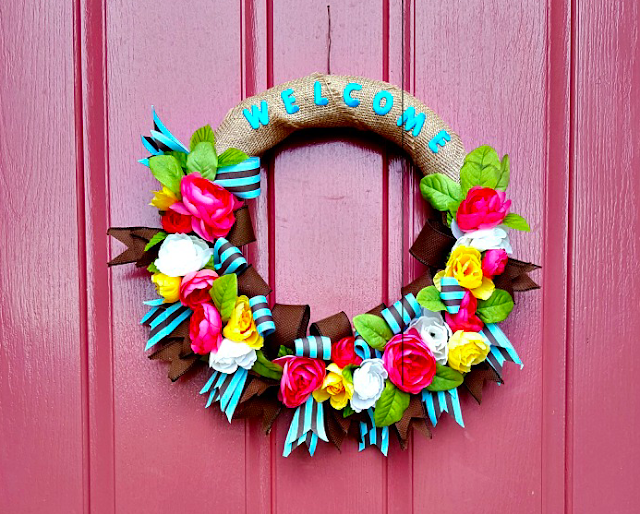 Summer is knocking at the door, so brighten it up with a floral welcome wreath! 1. Cut the flowers and leaves off of the main stem using the wire cutters. Cut the stem close to the back of each flower, leaving up to 1/2". 2. Cut the ribbon into 6" lengths. Cut a V in each end of one 6" length. Fold ribbon in two, making a 1-1/2" loop. Cut a 3" length of floral wire and secure the bottom of the loop. 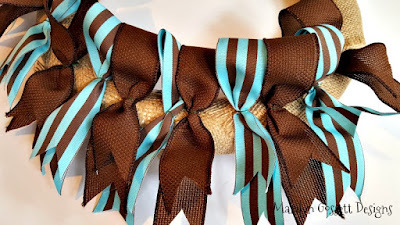 Repeat with each piece of ribbon. 3. 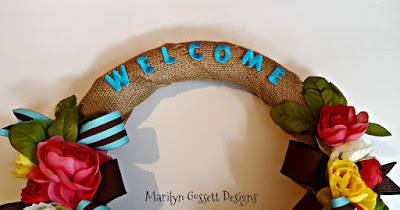 Wrap and glue the burlap around the Smoothfoam wreath. 4. Adhere the ribbon loops and tails to the wreath; spacing about an inch apart. The loops should face the inside of the wreath, the tails extending at the outside edges of the wreath. 5. 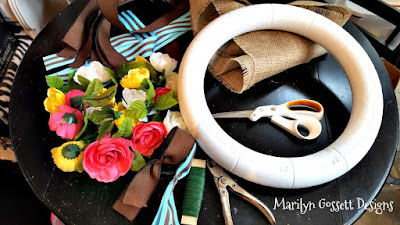 Place and glue the flowers to the wreath between the ribbons as shown. Glue leaves between the flowers as shown in the photo given below. 7. 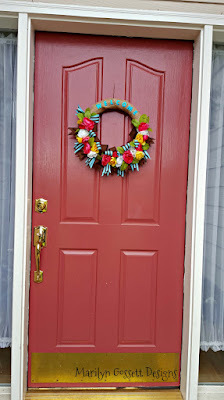 Place the letters on the wreath as shown then glue in place. 8. Hanger: Cut a 5" piece of floral wire. Make a 1" loop, twisting the tails together below the loop. Place some glue on the middle of the top, back of the wreath; put the twisted portion in the glue. 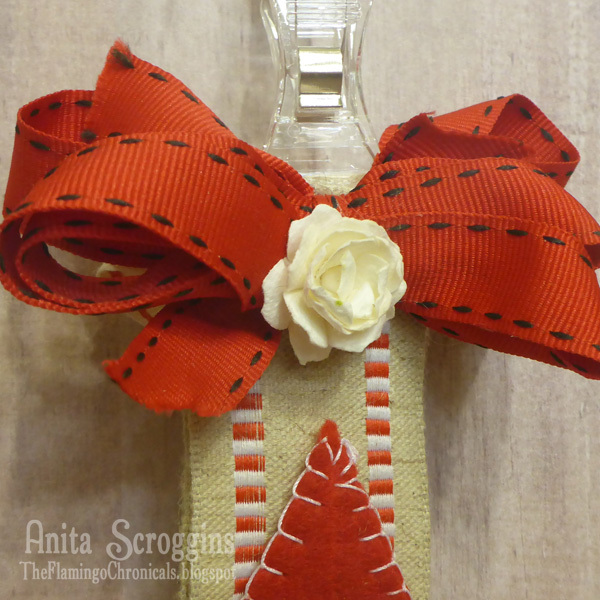 Secure by gluing a small square of burlap over the wire so that the wire is secured between the wreath and the piece of burlap. Hang on your door and enjoy! 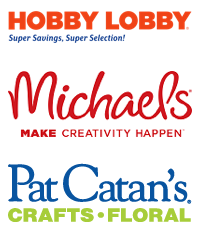 Look for Joy® Embroidered Iron-on letters and letter sheets at your local craft stores.